The pilot and co-pilot of Xiamen Air flight MF8667 have tested negative for illegal drugs use, while their alcohol test results are still pending. “The results of the drug test is negative while the results of the alcohol test is still on the way,” Capt. Donaldo Mendoza, Deputy Director General for Operation of the Civil Aviation Authority of the Philippines, said during a press conference on Monday. 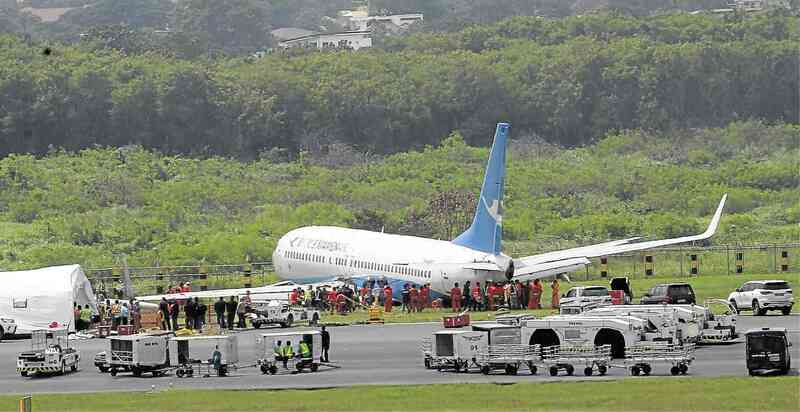 Mendoza also said that after the Xiamen Air plane skidded off the runway of the Ninoy Aquino International Airport on Thursday night, the two flight officials underwent a medical check-up. The pilot was a Korean national and has over 16,000 hours of flying time, while the co-pilot was a Chinese national. Both of their identities were not mentioned.